Sheffield, UK – Nominations were announced tonight in the United Kingdom for the 2011 Cinema Eye Honors, recognizing excellence in artistic achievements in nonfiction filmmaking. LAST TRAIN HOME by Canadian/Chinese filmmaker Lixin Fan received a record-tying seven nominations. The film, which tells the story of a migrant family traveling across China looking for work, was nominated for Outstanding Feature, Direction, Production, Cinematography, Editing, International Feature and Audience Choice. Director Fan is nominated in six of those categories, making him the most nominated individual in the history of Cinema Eye. Receiving six nominations each were the acclaimed Danish war documentary ARMADILLO, by director Janus Metz, about a Danish/UK military base in Afghanistan, and EXIT THROUGH THE GIFT SHOP, the first documentary by the British artist Banksy, which examines hype in the art world. ARMADILLO, which has been a huge sensation in Denmark, leads a raft of Danish documentaries nominated for this year’s Cinema Eye Honors. Mads Brügger’s THE RED CHAPEL and Michael Madsen’s INTO ETERNITY join ARMADILLO as nominees in the Danish dominated International Feature category. Laura Poitras’ THE OATH and Jeff Malmberg’s MARWENCOL were both nominated for four awards, including Feature and Direction. THE OATH looks at two former members of Al Qaeda and the vastly different paths their lives took after they were captured. MARWENCOL tells the story of a New York artist who, after suffering a brain injury, builds and photographs a miniature, World War II-era town populated by dolls. Joining Poitras, Malmberg, Fan and Metz in the Outstanding Direction category is legendary documentary filmmaker Frederick Wiseman. Wiseman’s film, LA DANSE: THE PARIS OPERA BALLET, is nominated in three categories, including Cinematography and Audience Choice. It’s the first nomination for Wiseman, who has never been nominated for an Academy Award. Nominations were also announced for the first ever Cinema Eye Honor for Outstanding Achievement in Nonfiction Short Filmmaking. The inaugural nominees are ALBERT’S WINTER (Denmark), ARSY-VERSY (Slovakia), DOCK ELLIS AND THE LSD NO NO (USA), QUADRANGLE (USA) and THE POODLE TRAINER. This year’s nominees were announced at the Cinema Eye Roller Disco by filmmakers Havana Marking (AFGHAN STAR), Kim Longinotto (PINK SARIS, ROUGH AUNTIES) and Cinema Eye Co-chair AJ Schnack. Schnack is the founder of the Cinema Eye Honors and the director of KURT COBAIN ABOUT A SON and the ensemble documentary CONVENTION. Esther Robinson, a Cinema Eye nominee for A WALK INTO THE SEA: DANNY WILLIAMS AND THE WARHOL FACTORY returns for her 2nd year as Co-chair of Cinema Eye. The 2011 Cinema Eye Honors for Nonfiction Filmmaking will be held on January 18, 2011 at the newly re-opened Museum of the Moving Image in Astoria, Queens, New York City. The event will be broadcast on television for the first time, on the Documentary Channel. Documentary Channel is the official broadcast partner of the 2011 Cinema Eye Honors. The Museum of the Moving Image is the official host partner. Additional sponsors include HBO Documentary Films, Sheffield Doc/Fest, Hot Docs and Camden International Film Festival, with other sponsors due to be announced shortly. Nominations for the Cinema Eye Honors were determined in voting by top documentary programmers from international film festivals. This year’s nominations committee was chaired by Sean Farnel, programmer for the Hot Docs Film Festival. Committee members included Meira Blaustein (Woodstock), David Courier (Sundance), Heather Croall (Sheffield), Joanne Feinberg (Ashland), Tine Fischer (CPH:DOX), Elena Fortes (Morelia/Ambulante), Ben Fowlie (Camden), Tom Hall (Sarasota/Newport), Doug Jones (Los Angeles), David Kwok (Tribeca), Amir Labaki (It’s All True), Grit Lemke (Dok Leipzig), Arthur Libehart (Planete Doc Review), Veton Nurkollari (Dokufest Kosovo), Janet Pierson (SXSW), Rachel Rosen (San Francisco), Charlotte Selb (RIDM), Sky Sitney (Silverdocs), Sadie Tillery (Full Frame), David Wilson (True/False) and Brit Withey (Denver). 109 films were eligible for the 2011 Cinema Eye Honors and 88 of those films received votes from one or more members of the nominating committee. 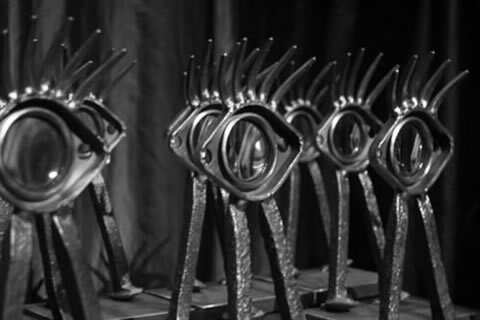 The Cinema Eye Honors were launched in 2007 to recognize and honor exemplary craft and innovation in nonfiction film. Cinema Eye’s mission is to advocate for, recognize and promote the highest commitment to rigor and artistry in the nonfiction field. Previous award winners have included MANDA BALA (SEND A BULLET), MAN ON WIRE and THE COVE (Outstanding Features in 2008, 2009 and 2010), THE BEACHES OF AGNES, WALTZ WITH BASHIR, FOOD INC., UP THE YANGTZE, ENCOUNTERS AT THE END OF THE WORLD, TAXI TO THE DARK SIDE and THE SEPTEMBER ISSUE. Presenters have included Albert Maysles, Barbara Kopple, Ross McElwee, DA Pennebaker and Chris Hegedus, Morgan Spurlock, Alex Gibney, Joe Berlinger and Bruce Sinofsky, Peter Davis, Laurie Anderson, Bill Plympton, Jehane Noujaim, Ricki Stern and Annie Sundberg, Ellen Kuras and Amir Bar-Lev. Sean Farnel, Documentary Programmer for the Hot Docs Film Festival, is the chair of the Cinema Eye Nominations Committee. Andrea Meditch, Executive Producer of MAN ON WIRE and GRIZZLY MAN, serves as Chair of the Cinema Eye Advisory Board. Nathan Truesdell is Producer for Cinema Eye.